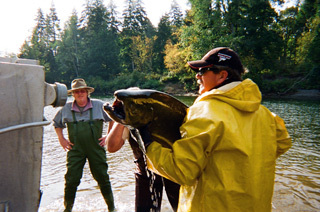 The Campbell River Salmon Foundation (CRSF) is a registered charity and not for profit organization developed to promote salmon enhancement in watersheds between the Oyster River and south of the Salmon River estuary and the adjacent mainland coast. 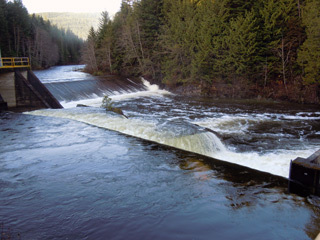 To promote the conservation, rehabilitation and enhancement of watersheds for Pacific salmonids between the Oyster River and south of the Salmon River estuary and the adjacent mainland coast. 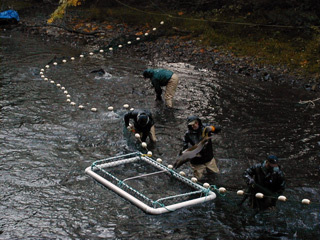 To provide a funding mechanism for projects promoting the conservation, rehabilitation and enhancement of watersheds for Pacific salmonids between the Oyster River and south of the Salmon River estuary and the adjacent mainland coast. 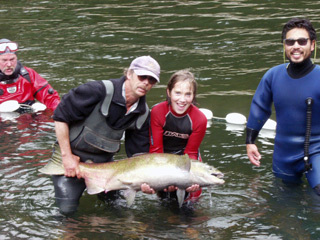 The Campbell River Salmon Foundation believes in supporting volunteerism as it relates to community-based salmon habitat rehabilitation and aquatic stewardship volunteer capacity-building initiatives. In-kind includes all non-cash enabling resources: time, equipment, tools, supplies and services that contribute to the implementation, completion and monitoring of the project. 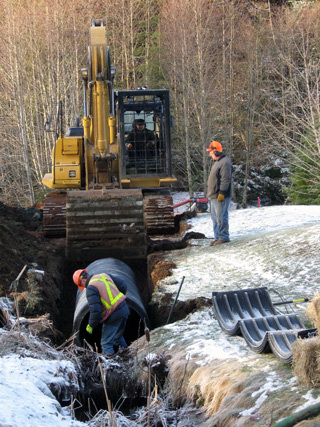 Communications: the Campbell River Salmon Foundation asks that contributions made by CRSF be acknowledged on project site signage, in outgoing communications, newspaper articles and at events highlighting your project. You may request CRSF’s participation in opening ceremonies, news conferences and presentations. CSP projects are profiled in CRSF’s newsletters, website, annual reports and monthly tours. If you receive a grant from CRSF, you may receive a request for updates and photos throughout the year. Disclosure: Debts to Canada, as a recipient of Federal funds the Campbell River Salmon Foundation is required to request all Applicants (your Group) to declare any amounts owing to Canada under any legislation or other contribution agreements. Please include this information in your cover letter accompanying your application. Notification of Decision: All applicants will receive a letter of notification of decision. If you have any questions or require assistance please contact (250)850-3210, email us at info@crsalmonfoundation.ca.